Is H&M misleading customers with all its talk of sustainability? H&M probably talks about sustainability more than any other fast-fashion brand. It produces a Conscious collection made using sustainable and recycled materials,creates glossy ad campaigns to encourage garment recycling, and has a voucher program offering discounts to those who donate their old clothes at its stores. On April 18, it kicks off a major project intended to collect 1,000 tons of used clothes, called World Recycle Week, that it’s promoting heavily, even making a music video in collaboration with rapper M.I.A. These efforts sound great, but critics—myself included—have questioned how much they actually mitigate the massive and growing company’s environmental impact. Some suggest these displays of devotion to the notion of sustainability are “greenwashing,” distracting from the extent of the harm the company does, and even boosting sales. But H&M undeniably spends time and money on these programs, and has made very real strides to reduce its impact—which is much more than many other companies have done. So is it fair to take the brand to task? And for consumers eager to reduce their own environmental footprint, or to express their beliefs with their spending, is H&M a smart place to shop? The answers are far from simple. To start with, the biggest strike against H&M is the giant pile of clothing it produces every day. The Swedish retailer is one of the largest fashion brands in the world in terms of sales volume. It’s staggering to consider: The quantity of cheap t-shirts, jeans, dresses, jackets, and everything else it produced and sold reached about $25 billion in global sales(pdf) in 2015. To grow the materials, dye and finish them with chemicals, manufacture, and ship all those clothes puts a tremendous strain on the environment and consumes vast resources. That volume is theprimary sustainability challenge H&M faces, and it knows it. It also wants to make sure shoppers are aware it knows, by promoting its sustainability efforts in its marketing—which is where things get tricky. Lucy Siegle, a journalist at The Guardian who writes on sustainability, is one of those who has expressed skepticism about H&M’s recycling campaigns and “Conscious” clothing lines. 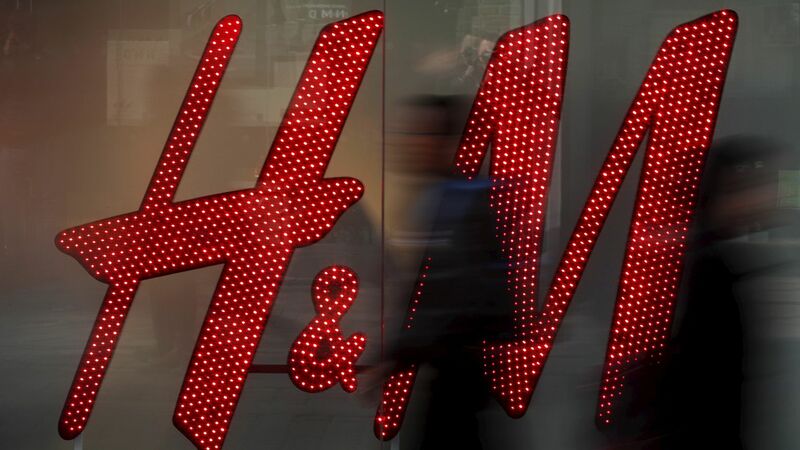 She has pointed out that given the limitations of current technology, it would likely take H&M up to 12 years to use just 1,000 tons of clothing waste. Meanwhile, it produces that same volume of new clothes in a matter of days. H&M didn’t deny her calculation when asked about it, pointing out instead that it does indeed remain difficult to recycle fabric. “Unfortunately it is not possible to close the loop and recycle all types of materials into new textile fibres today,” a company spokesperson said. Material blends can be impossible to separate, while recycling cotton reduces its quality. Greenpeace, which has lauded H&M for being the first fashion brand to eliminate PFC chemicals from its products, also criticized the recycling campaign. “H&M’s Recycling Week is in reality a week of illusions since only one percent of collected clothing can be used as recycled fibers,” Kirsten Brodde, the project lead of Greenpeace Detox My Fashion, wrote in a press release. “But this is not told to the customers.” She suggests that offering garment repair services would have done more good than inviting customers to recycle their old clothes and buy new ones. In 2015, recycled fabric did rise to 1% of the materials H&M used, up from 0.2% last year, according to its newestsustainability report (pdf, p. 17). But H&M’s own comments call into question exactly what it means when it says at the end of the M.I.A. video that “95% of textiles thrown away worldwide could get a second life”—followed by the suggestion to bring those clothes to an H&M store. Presumably they want you to trade them for a recycling voucher. When H&M started the program in 2013, Bloomberg remarked what a smart bit of marketingit was. The 15% discount was enough to perhaps prompt a new purchase, while still protecting the company’s profit margins. If nothing else, H&M is at least shouldering the burden of keeping that clothing out of landfills. Since 2013, the company says it has collected more than 25,000 tons of textile waste. While it can’t recycle it all now, it says it is looking for ways to do so in the long-term. Last year, it partnered with a recycling technology company calledWorn Again, and it also launched a contest looking for innovative ideas. Also worth noting, H&M increased the share of its raw materials that are sustainably sourced to 20% last year, up from 14% the year before. It reduced its total emissions 56% compared to 2014, and has proved that it will act to clean up the factories it sources from in China. And it argues that all those clothes it sells offer economic benefits to millions. 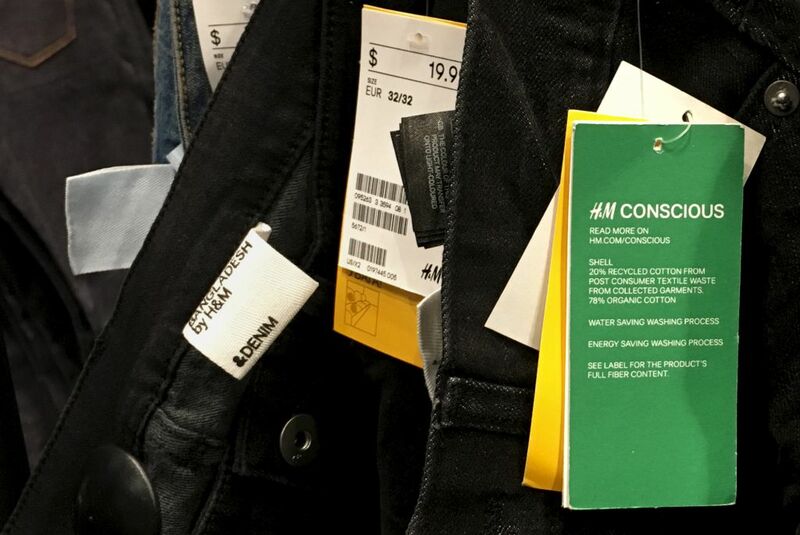 Some labor groups say H&M puts workers in unsafe conditions, especially in Bangladesh, by looking for the cheapest work possible. But there’s no doubt that the garment industry in the country has also been instrumental in improving millions of lives. These sorts of contradictions runthroughout H&M’s business (pdf). 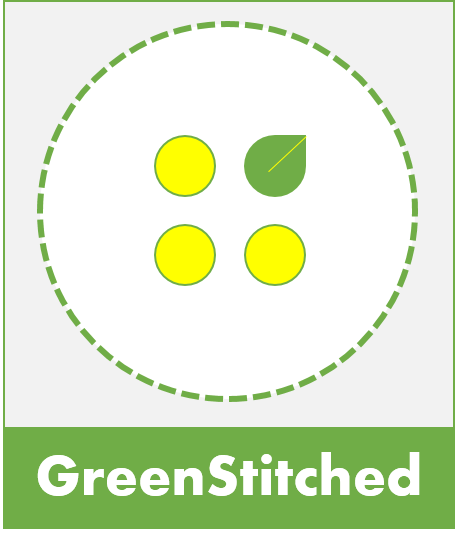 It fights textile waste while producing massive volumes of cheap, easily disposable clothing. It wants to reduce its environmental footprint whiledoubling its store footprint. It works hard to position itself as an industry leader in sustainability, so it’s no surprise it gets singled out as an example of what’s wrong, even more than fast-fashion brands such as Zara and Primark. Ultimately, the problem is still the business model—one that relies on a high volume of sales and a break-neck rate of growth. But that doesn’t mean incremental change is worthless. Nor does it mean that pressure from consumers is pointless. The reality is the company is so large and affects so many lives that it needs to be held accountable. If H&M is going to run campaigns trying to convince consumers to behave differently, it should be willing to behave differently itself. 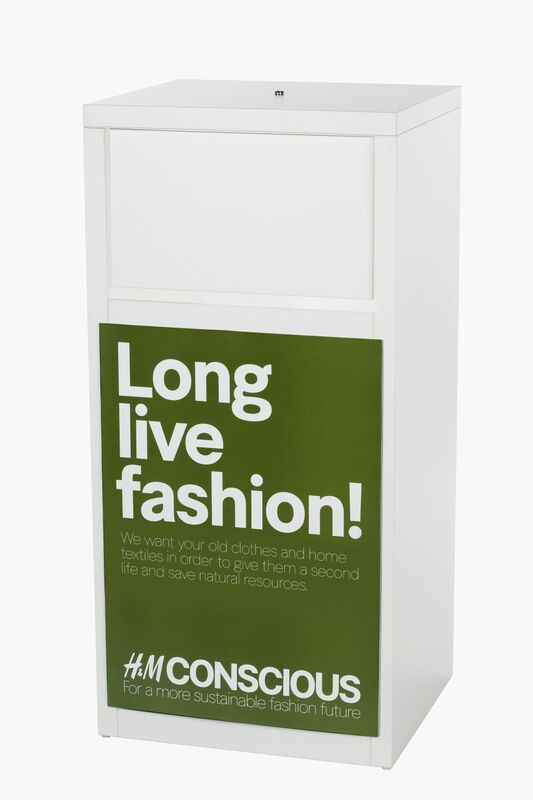 This entry was posted in Brands, Recycling and tagged greenwashing, H&M, H&MConscious, Recycling.